A lot of you have asked me what the ingredients were for the Chili recipe I made for the Super Bowl event at the Bay View. I forget where I originally found it but it always worked for me, so here it is. Quantities can vary according to your tastes. 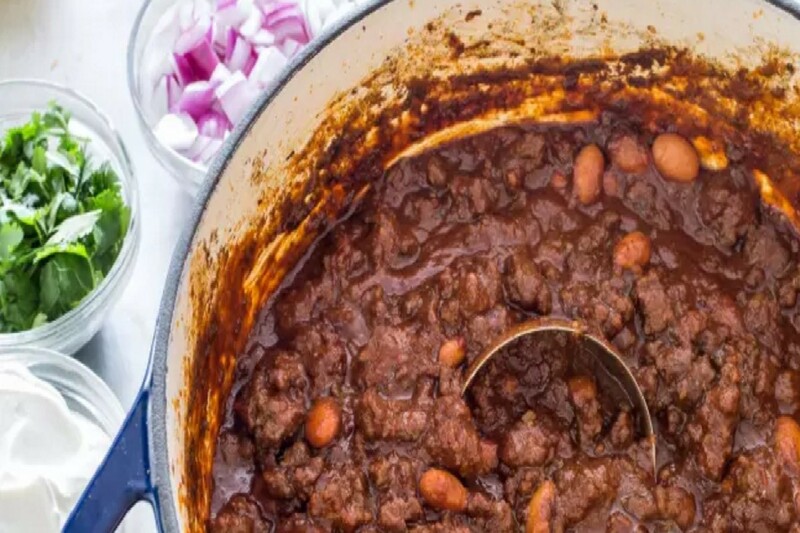 The black beans are what makes this chili great in my opinion. 1 10.5 oz bag corn chips such as Fritos 1 package shredded Cheddar cheese. Heat a large stock pot over medium-high heat. Brown the New York Strip Steak cubes set aside. Crumble the ground chuck and sausage into the hot pan, and cook until evenly browned. Drain off excess grease. Return the New York Strip Steak cubes to the pot. Pour in the chili beans, spicy chili beans, diced tomatoes and tomato paste. Add the onion, celery, green and red bell peppers, chili peppers, bacon bits (optional), bouillon, and beer. Season with chili powder, Worcestershire sauce, garlic, oregano, cumin, hot pepper sauce, basil, salt, pepper, cayenne, paprika, and sugar. Stir to blend, then cover and simmer over low heat for at least 2 hours, stirring occasionally. To serve, ladle into bowls, and top with corn chips and shredded Cheddar cheese. Good luck.